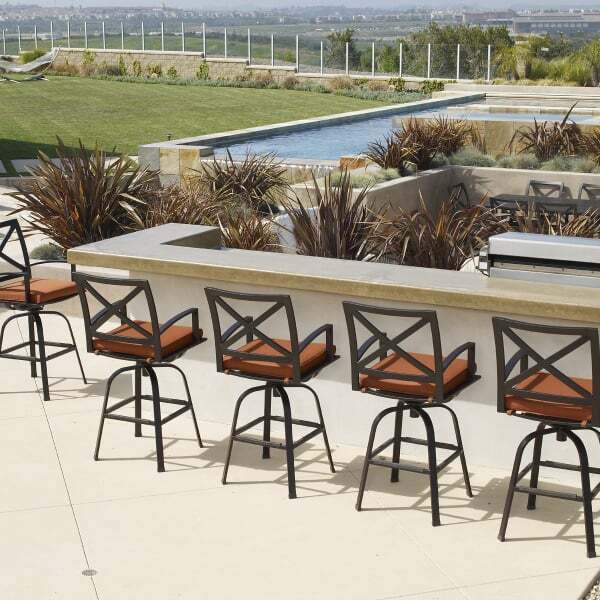 Dress up your outdoor bar area with the La Jolla Swivel Bar Stool. It’s classic good looks and weather-proof aluminum construction makes this bar stool the ideal accompaniment to a built in bar; or pair it with the La Jolla Pub Table for an informal seating area. 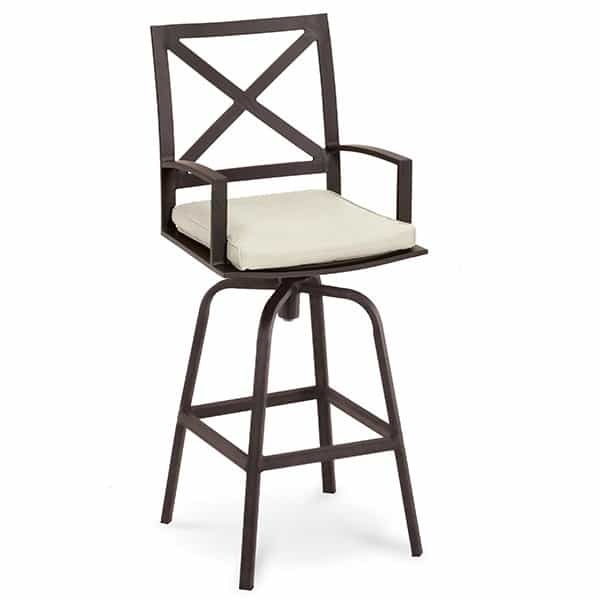 Finished in a deep chocolate powder-coating, the La Jolla Bar Stool comes standard with your choice of Sunbrella seat pads. Choose from Canvas Spa or Nutmeg.